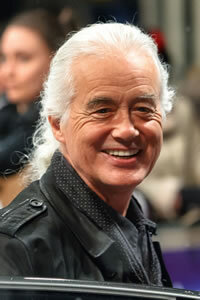 As odd as it is, Led Zeppelin guitarist Jimmy Page has been in a five-year legal battle with solo artist Robbie Williams. What was it over you may ask? A underground swimming pool. According to Ultimate Classic Rock, it all started in 2013 when Williams became Page’s neighbor. Once the house was purchased Williams wanted to make changes to the premises in the formof a underground swimming pool. Fast forward to today, and a court has ruled to defer approval for Williams’s plan to build his planned basement swimming pool and gym. Page’s worries stem from construction vibrations damaging his red-brick Gothic Revival manse, particularly the elaborate plaster, tile, and stained glass. The committee backing Page has issued that Williams provide legal assurances on minimal vibrations and disturbances.